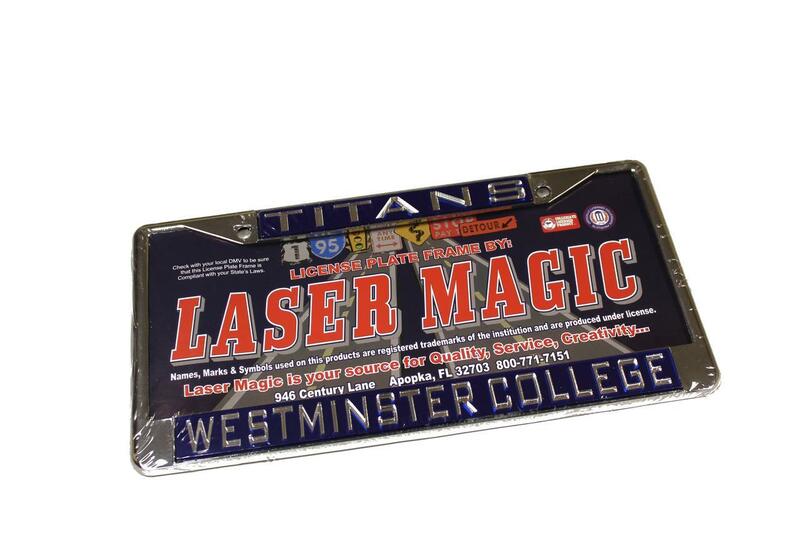 Metal license plate frame with Titans and Westminster College lettered in silver surrounded by blue background. 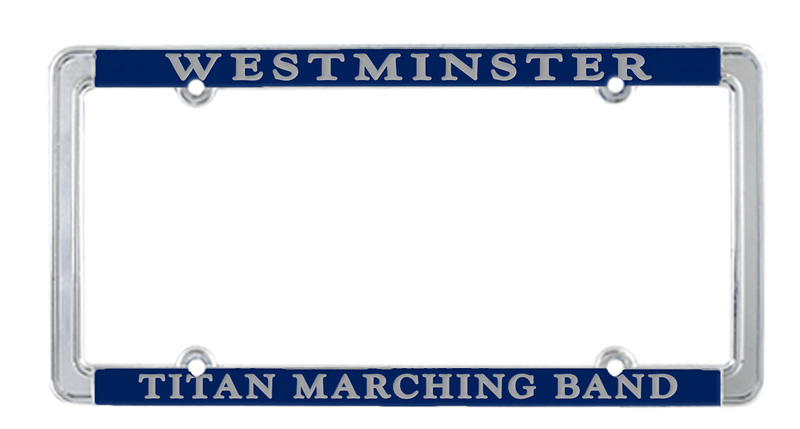 License plate tag with navy blue Westminster lettering and Old Main tower logo on white plate. 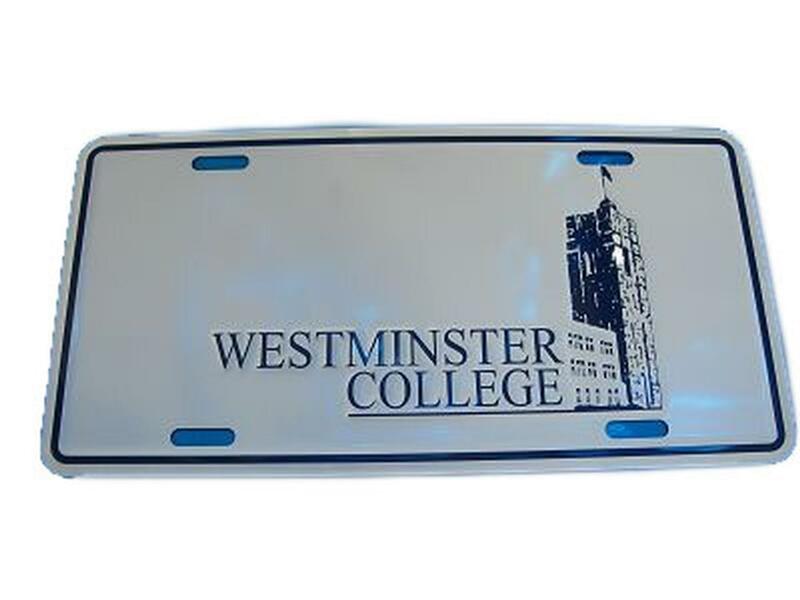 Chrome plated thin rim metal frame with painted navy background and polished chrome lettering.